AUBURN, Ala. – The United States Olympic Committee (USOC) and Auburn University have announced an agreement designating the College of Education’s School of Kinesiology Building, Beard-Eves-Memorial Coliseum and Watson Fieldhouse as a U.S. Olympic Training Site. Elite athletes from all over the nation can come to Auburn to train and receive science-based assessments and personalized feedback from kinesiology experts to optimize their performance. 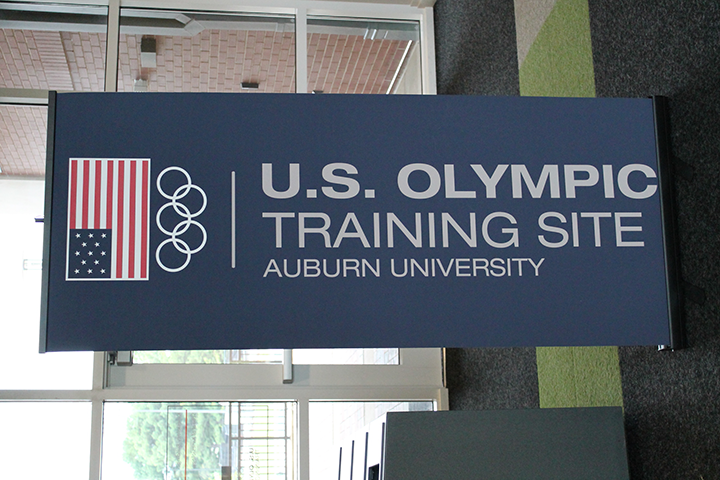 Since the summer of 2013, Auburn University has hosted elite training and competition for the men’s and women’s USA national team handball programs. 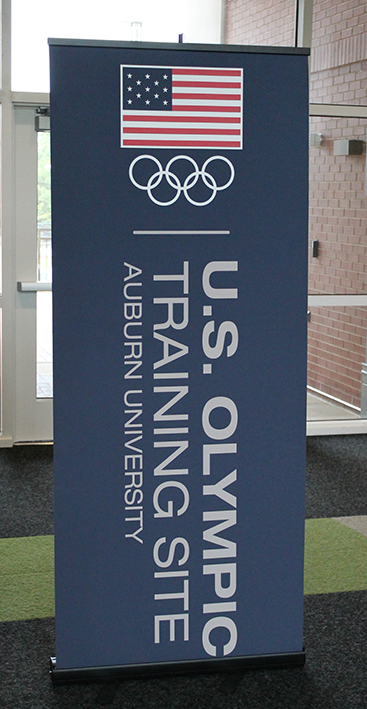 Auburn University is one of 18 Olympic Training Sites in the country and one of five universities nationwide to receive the designation. The official designation ceremony was held on Sept. 25 and 26, in conjunction with the College of Education Centennial Celebration and the Board of Trustee’s quarterly meeting. On Friday, Sept. 25, at 3:00 p.m., guests gathered outside the School of Kinesiology for the Olympic Training Site unveiling and a reception. During the Auburn-Mississippi State football game on the 26th, administrators from the university and USA Team Handball and several athletes were recognized on the field. “The United States Olympic Training Site designation will provide many research and outreach opportunities for our faculty and students in the area of sport optimization,” said Mary Rudisill, a Wayne T. Smith Distinguished Professor and the director of the School of Kinesiology. “We want to ensure that students who attend Auburn University’s School of Kinesiology receive the best training and the most exciting experiences available in the field. Offering hands-on experiences and working with the top athletes in the country is a great way to meet that goal,” said Rudisill. For more information about the United States Olympic Committee, visit www.teamusa.org. For more information about USA Team Handball, visit www.teamusa.org/USA-Team-Handball. The United States Olympic Committee was founded in 1894. Their headquarters are located in Colorado Springs, Colorado. The USOC is primarily responsible for training and funding for the U.S. Olympic, Paralympic, Youth Olympic, Pan American and Parapan American Games.